For several years, I lived in Raleigh. There wasn’t much street art. But, I do recall there were some Obama Hope posters pasted under the railroad tracks near where I lived. I was impressed that someone did that and even more impressed how long they lasted there. There was a Fakesy (fake Banksy, not my picture) that I thought was pretty cool, considering there was nothing else like it in town…it has since been buffed. 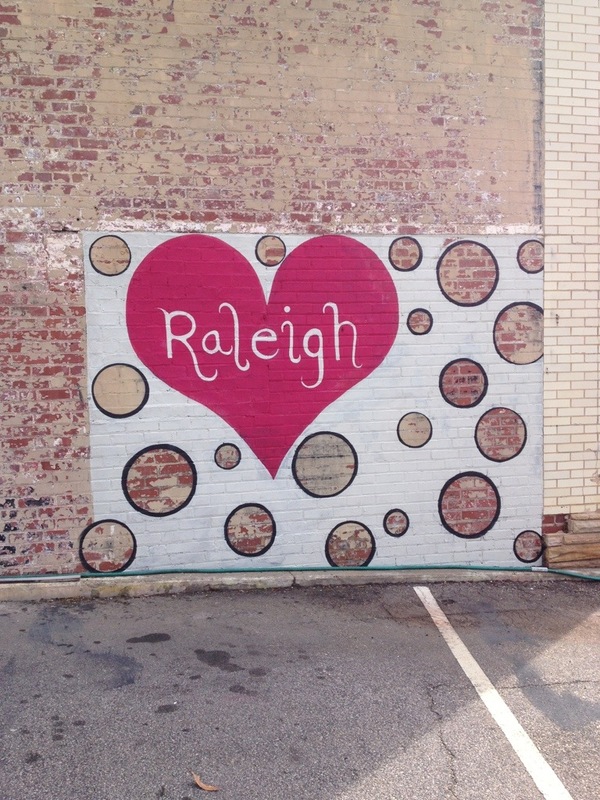 Also, the Raleigh Heart (not my picture) popped up right before I moved and I really liked it since it was new, creative and not something you typically see in Raleigh. It has been a few years since I was there, and there is a bit more going on now. Sonja Rose, who I found out also did the Raleigh Heart, has been doing these wavy installations with a few dots of spray paint. The blue green curves have been cut with a jigsaw, painted and attached to the wood surrounding a building undergoing renovations. This is definitely not something I was used to seeing in Raleigh. I also noticed Mathew Curran’s work. A few pieces were buffed, so I was quite pleased to find these intricate birds. Learning more about Curran, he is a master of stencil work and precision. Curran mentioned that he is LA, so hopefully I’ll spot some more of his work here. Raleigh is stepping up its street art game.